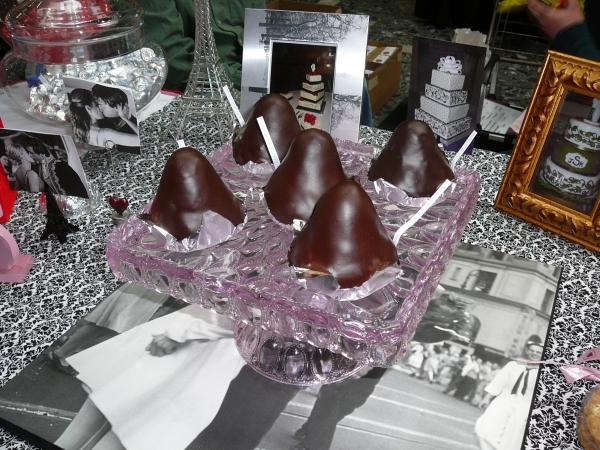 Kokomo’s Chocolate Celebration … A Chocolate Lovers Paradise! 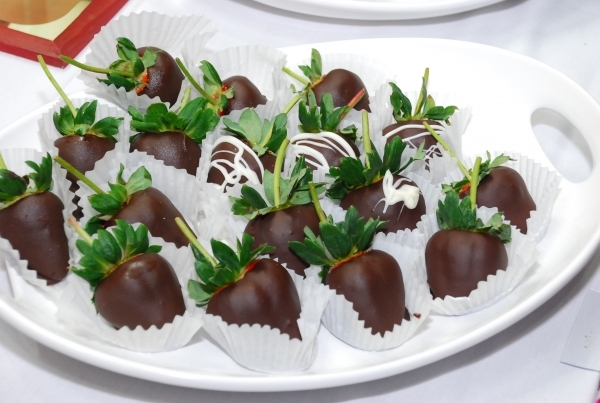 Make your next visit to Kokomo extra sweet by attending the 12th Annual Chocolate Celebration on Friday, Feb. 7, 2014. Sponsored by J. Edwards Fine Chocolates, Gourmet Cakes & Gifts, the event will be held at Kokomo First Church of the Nazarene from 11 a.m. – 2 p.m. Arrive early for best selection! Tickets are only 2 for $5 and can be redeemed for one chocolate item of your choice while quantities last. Chocolate selections vary from year to year and usually include a variety of cakes, brownies, candy, chocolate-dipped fruit, fudge and other delicious and decadent creations. I have never had a chocolate dessert that I did not enjoy! 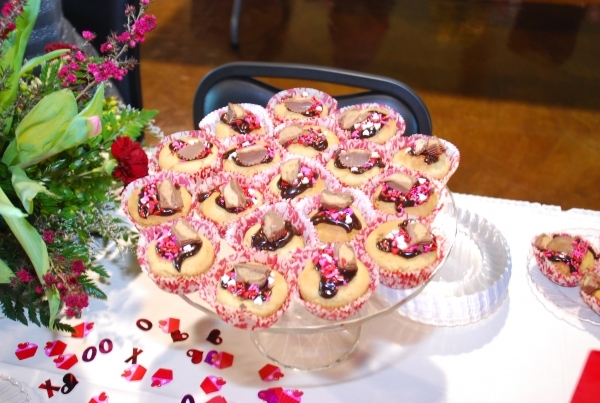 During the event, Grace United Methodist Church will be selling soup and sloppy joe sandwiches (for eat-in or carry-out) and several businesses will offer chocolate items and gifts to purchase – right in time for Valentine’s Day! 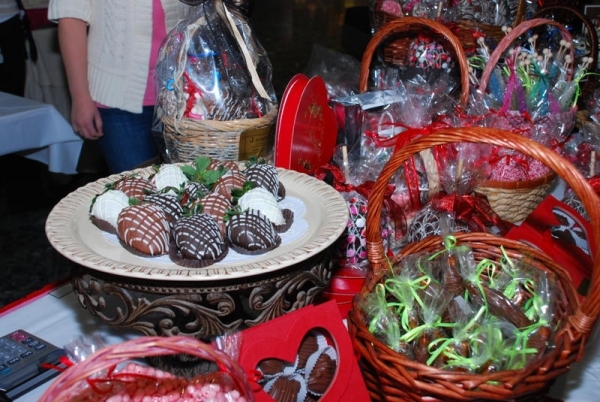 Chocolate Celebration is held annually and proceeds benefit Samaritan Caregivers. For more information about the event, call 765-453-7611 or visit their website. 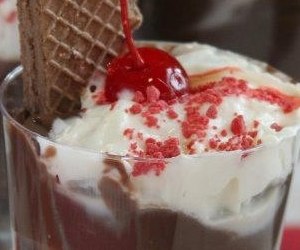 Have a Sweet Time at Kokomo’s Chocolate Celebration – Feb. 1, 2013! Calling all chocolate lovers! 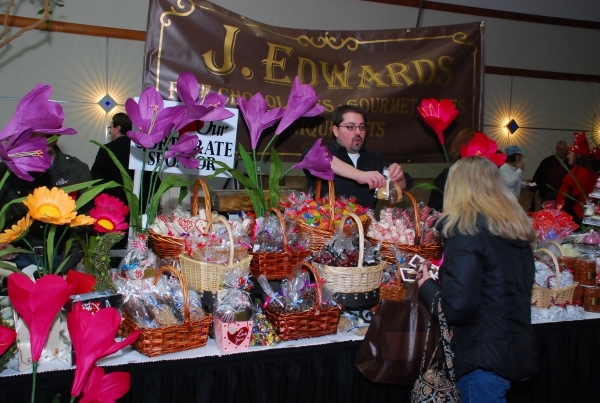 Mark your calendar for Friday, February 1, 2013 as hundreds of chocolate lovers gather to satisfy their sweet cravings at the 11th Annual Chocolate Celebration presented by J. Edwards Fine Chocolates & Gourmet Cakes. 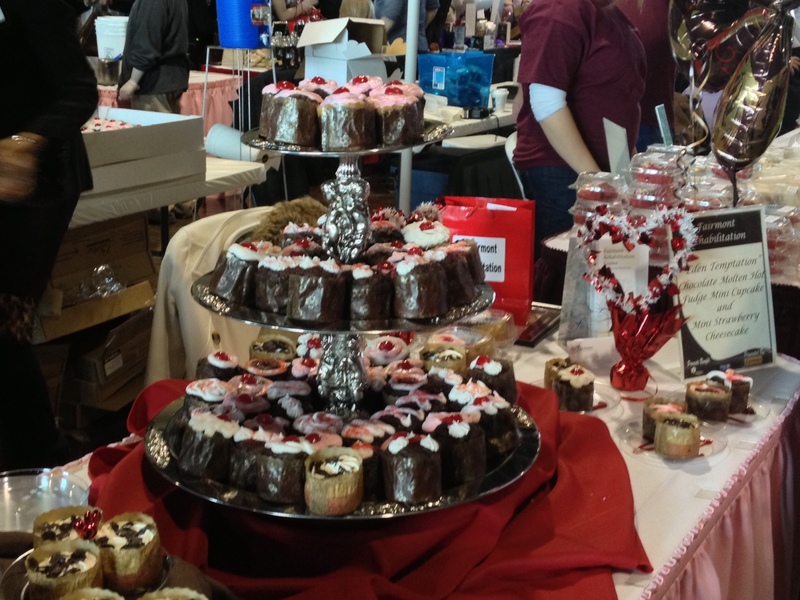 Local restaurants, caterers, bakeries and businesses will offer delicious chocolate creations from 11 am-2 pm at Kokomo First Church of the Nazarene (located at the corner of Washington & Lincoln.) 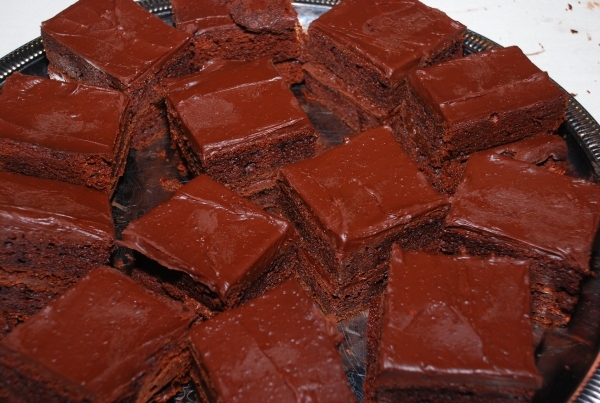 Chocolate selections include fudge, brownies, cupcakes, chocolate-covered fruit, pastries, homemade candy, and much more! Here are a few photos of desserts offered at last year’s event . . .
Tickets are 2 for $5 with each ticket redeemable for one chocolate treat. Come early for best selection! Admission is free. Shopping bags and To-Go containers will be available so you can purchase sweet treats for friends, family or co-workers. Proceeds will benefit Samaritan Caregivers. Join us in Kokomo for the sweetest event of the year! For more details, call 765.453.7611 or visit their website. 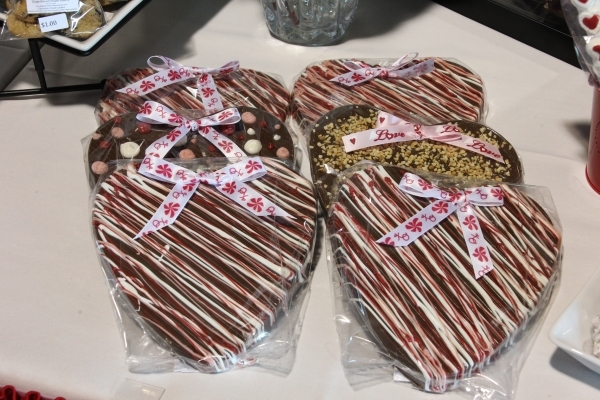 Visit the 2011 Chocolate Celebration For a Sweet Time! One of my all-time favorite annual events in Kokomo is just around the corner, and my sweet tooth is ready! 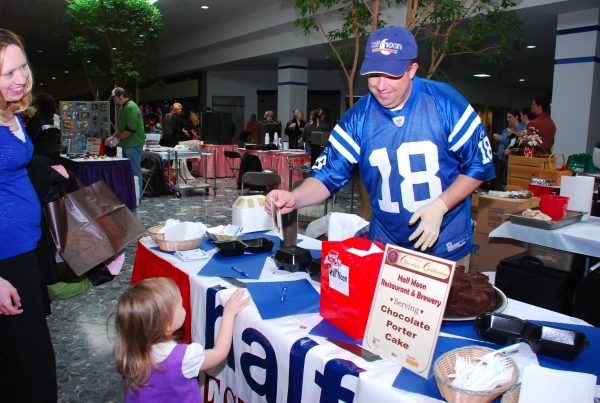 J. Edwards Fine Chocolates will present the 9th Annual Chocolate Celebration on Thursday, February 3, 2011 at the Kokomo Mall. Local restaurants, caterers, bakeries, and chocolate connoisseurs will offer their special (and delicious!) chocolate creations from 11:00 a.m. – 2:00 p.m. My advice is come early for best selection! Chocolate lovers will be in paradise with the large variety of sweet desserts available, including brownies, cheesecake, flavored coffee, cookies, hot chocolate, cake, crème brulee, cupcakes, pastries, truffles, chocolate-dipped fruit, fudge, and many other tempting chocolate treats. I am, of course, a HUGE chocolate fan and look forward to what will be offered at the event each year. There is definitely something for everyone, including Valentine’s Day gift items you can purchase for your sweetheart or family members if you don’t enjoy chocolate yourself. Visit their website for a list of items that will be offered this year. This is one day of the year that I completely enjoy devouring chocolate desserts for lunch. However, if you wish to eat first, several vendors will offer lunch items, and Grace United Methodist Church will sell soup and sloppy joe sandwiches in the Kokomo Mall. Admission to the Chocolate Celebration is free. Tickets are 2 for $5 and can be redeemed for one chocolate treat of your choice. Tickets are available at the event or in advance at J. Edwards Fine Chocolates and Samaritan Caregivers. Plan now to satisfy your sweet tooth at this great annual event! For more information or to see more photos from last year’s event, visit their website.